Washington: The House on Tuesday failed to overturn President Donald Trump's first veto, leaving the declaration of a national emergency at the southwestern border intact despite the bipartisan passage of a resolution attempting to nullify the president's circumvention of Congress to fund his border wall. Despite concerns about the constitutional separation of powers and the effect of Trump's move on local military projects, the 248-181 vote fell short of the two-thirds majority needed to kill the national emergency declaration. Republicans in both chambers had joined Democrats in passing the resolution disapproving his national emergency just weeks ago, voicing discomfort over the president's intent to divert funding to the construction of a border wall without congressional approval. Trump, issuing the first veto of his administration, had called the resolution "dangerous," "reckless," and a "vote against reality." Trump then thanked House Republicans "for sticking together." "Today's vote simply reaffirms Congressional Democrats are the party of Open Borders, Drugs and Crime!" he wrote on Twitter. Democrats had hoped that the publication of all the military construction projects that could see funding delays as Trump pursued wall money would sway their Republican colleagues. They framed the vote around both lofty constitutional principles and parochial home-district matters. "Even when the legislative branch disagrees with the executive, we respect the office the president holds, and it's his right to veto legislation," said Speaker Nancy Pelosi of California, speaking on the floor before the vote. "But when those decisions violate the Constitution," she added, "then that must be stopped." Democratic lawmakers and aides say they have not ruled out the possibility of reintroducing the resolution in six months, and they could use other legislative options to block the president's effort to take as much as $3.6 billion in military construction funds for the wall. 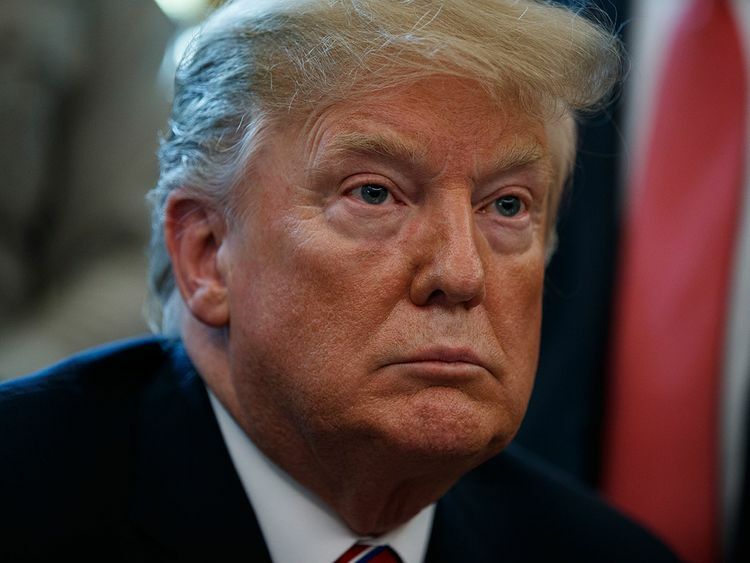 For now, the political fight over Trump's national emergency declaration shifts to the courts, where a number of states and organizations have joined lawsuits challenging the legal merits of the order. Xavier Becerra, California's attorney general, warned in a statement that the 20 states involved in legal action "are ready to fight long and hard to stop his fabricated emergency in its tracks." In the interim, the Pentagon has taken the first steps to begin diverting money from other Defense Department funds toward constructing fencing at the border. On Monday, Patrick M. Shanahan, the acting defense secretary, authorized the transfer of up to $1 billion from military personnel funding toward the construction of 57 miles of border fencing, improving roads and adding lighting in Yuma, Arizona, and El Paso, Texas, according to a letter sent to the Department of Homeland Security. "To look at the Pentagon as a piggy bank, slush fund, where you can grab money for something when you need it really undermines the credibility of the entire DOD budget," said Rep. Adam Smith of Washington, D.C., chairman of the House Armed Services Committee. At a hearing Tuesday, Smith warned Shanahan and Gen. Joseph F. Dunford Jr., chairman of the Joint Chiefs of Staff, that Congress would respond to the reallocation of funds without congressional approval by curtailing the privilege of such reallocations in the spending bills for the next fiscal year. Shanahan, testifying before the committee for the first time as acting head of the Defense Department, acknowledged the "complexities of the southwest border situation" and said officials understood "significant downsides of losing what amounts to a privilege." "Those risks were weighed, and given the legal order from the commander-in-chief," Shanahan said. "We are executing on that order." In a Senate Armed Services Committee hearing, Sen. Gary Peters, D-Mich., also pressed Army officials on whether readiness and modernization should be prioritized over security at the southwestern border. "It is not for me to say one is more important than the other relative to the whole national security of the United States," said Gen. Mark A. Milley, Army chief of staff.